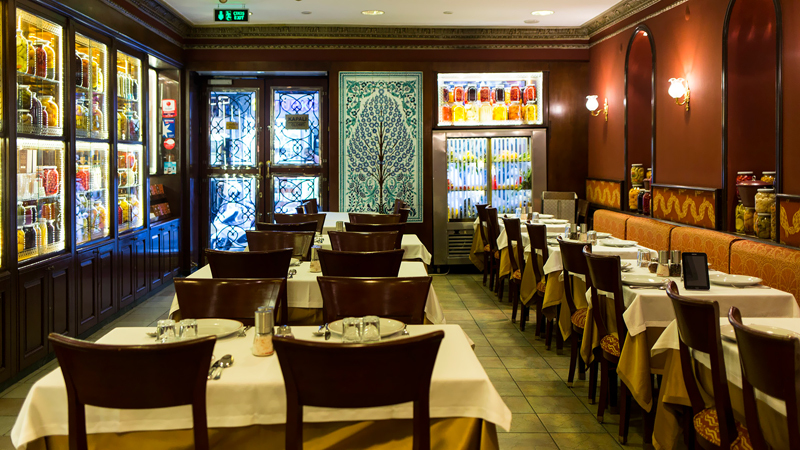 Established in 1876, Hacı Abdullah Lokantası may have moved locations a few times but it has long been a fixture in the Beyoğlu restaurant scene. It is very proud of its history, which has been passed on for well over a century from master to apprentice. The decor at the entrance is pleasant, with large jars of pickled fruits and vegetables lining the walls. The large room at the back is a bit more glitzy, even verging on tacky.